Specialising in all property related matters, Antonietta is recognised by the legal directories year on year as Leading Junior in the field of Property Law, describing her as a feisty, excellent and stalwart advocate. Antonietta’s experience covers matters including; lease renewals (incl.1954 act matters), forfeiture, disrepair, dilapidations, and service charge disputes. Understanding the commercial pressures both landlords and tenants are under, Antonietta works with her clients to resolve issues and disputes as quickly and efficiently as possible. Acting for both landlords and tenants, Antonietta advises in all aspects of this sphere from disrepair, breach of covenant, unlawful eviction, trespass and quiet enjoyment to anti-social behaviour nuisance, and harassment including housing related issues, such as homelessness. Antonietta has successfully seen her cases through to judicial review hearings in the Administrative Court and in the Court of Appeal. 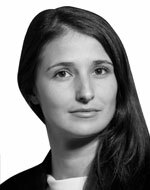 Antonietta’s expertise covers all areas of Land Law, acting both land owners and developers. Her practice covers areas including; unregistered land adverse possession, ( boundary issues, right to light, easements and restrictive covenants, trespass and nuisance Antonietta also offers experience in Party Wall act disputes, and property damage matters. Antonietta works with local authorities and stakeholders in a wide range of their property related issues from possession claims and homelessness appeals, injunctions (formerly known as ASBI and ASBOs), closure orders and committal proceedings. Antonietta also advises on stakeholders and authorities on regulatory and policy issues. Antonietta also accepts work on a direct access basis.